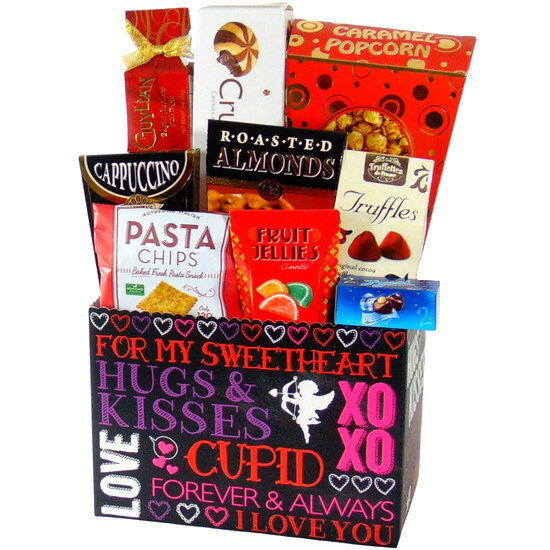 Sweet Gift Basket Hugs Kisses Love Gourmet Gift Basket Toronto Delivery. Hugs & Kisses gift box with many love words printed on an open gift box. Popcorn, chocolates, cookies, nuts are some of the goodies that will be delivered with this gift box. This gift is the best gift to send to him and her on Valentines day. Sweet gift basket. Hugs & Kisses gift box with many love words printed on an open gift box. 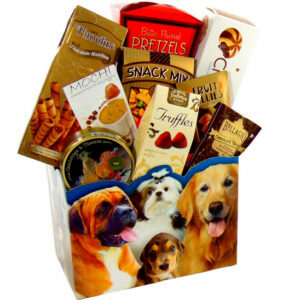 Popcorn, chocolates, cookies, nuts are some of the goodies that will be delivered with this gift box. This gift is the best gift to send to him and her on Valentines day.